Dragana Mileusnić is energy policy coordinator for southeast Europe at CAN Europe and Ioana Ciuta is energy coordinator at CEE Bankwatch Network. Scattered across the Western Balkans, a fleet of 16 communist-era plants is responsible for almost the same amount of pollutant emissions as all of the EU’s 296 power plants combined, according to the Health and Environment Alliance (HEAL). Urgently tackling this source of air pollution would bring a much needed reprieve to communities which have been paying the ultimate price for their countries’ coal reliance for decades, according to new analysis. Lignite-fired power plants in the Western Balkans emit a cocktail of life-threatening pollutants which includes nitrogen oxides which cause smog and acid rain as well as fine particulate matter (PM 2.5) that’s small enough to travel deeply into the respiratory tract. These can affect lung function and worsen medical conditions such as asthma and heart disease. Scientific studies have linked increases in daily PM 2.5 exposure with increased respiratory and cardiovascular hospital admissions, emergency department visits and deaths. Studies also suggest that long term exposure to fine particle matter may be associated with increased rates of chronic bronchitis, reduced lung function and increased mortality from lung cancer and heart disease. The region’s power plants emit 13 times more sulphur dioxide and 30 times more PM2.5 per installed megawatt than the average European plant, the new analysis shows. But it really doesn’t have to be this way. In fact, Western Balkans governments are already obliged by Energy Community rules to cut emissions of pollutants such as sulphur dioxide by 1 January 2018. For those countries seeking EU membership, such as Montenegro and Serbia, or planning to export electricity to their EU neighbours, aligning with EU rules on emissions is of particular importance. So far, however, they are failing on this. The region must ensure an immediate reduction of lethally polluting emissions in line with the rules of the Energy Community, an international organisation that brings together the EU and its neighbours to create an integrated pan-European energy market. When energy ministers from the region convene today (14 December) in Priština, Kosovo, for the annual meeting of the Ministerial Council, the Energy Community’s governing body, they need to find a path to upgrade their countries’ air pollution standards. The Energy Community’s emissions standards for existing large combustion plants are not as stringent as those recently adopted by the EU. But citizens across the region deserve much cleaner air. They could and should have done more already. Most of the Western Balkan countries signed the Energy Community Treaty back in 2005 and the 2018 deadline is a surprise to no one. Having delayed action to date, much more urgency is now needed to achieve the required reduction in pollution. Decades long reliance on coal for energy threatens the health of all Europeans, in the Balkans and across the continent, given that as much as 60% of pollutants are estimated to end up elsewhere in Europe. There is a lot more than pollution hanging in the air as Parties to the Energy Community Treaty meet this week in Kosovo: studies show that countries in the region also suffer a total of over EUR 20 billion in estimated health-related costs. And yet, Western Balkans leaders appear as keen as ever to perpetuate their countries’ love affair with coal. 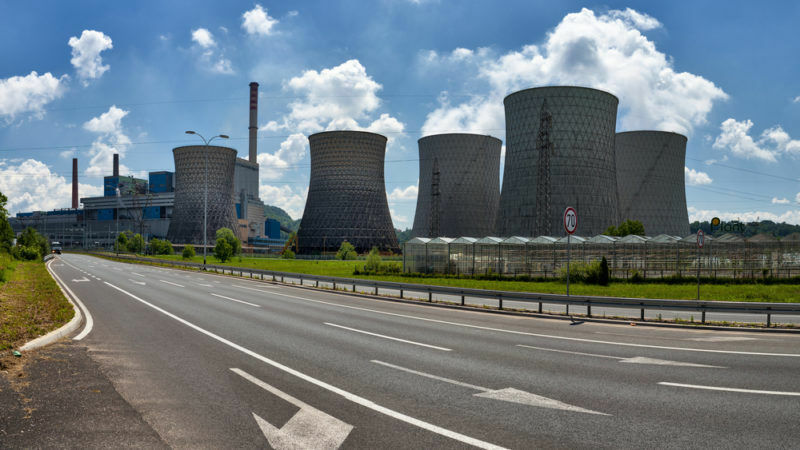 Chinese loans already agreed for Kostolac B3 in Serbia and a new unit in the Tuzla power plant in Bosnia-Herzegovina, as well as another currently in the pipeline for Banovici, threaten to keep burning the most polluting of fossil fuels. Implementing more stringent environmental rules cannot be viewed as a burden but rather as an opportunity to literally save lives and improve the health of people across the continent. Energy production must not cost lives. This is all very unfair, after all, most of the 60k are only “little people2 & thus from a political point of view – don’t count. Furthermore, politicians need time to organise the sturctures of new power station contracts so that brown envelopes (or their electronic equivalent) flow to the “right” political people. & bravo to the Chinese – doubtless they are highly “flexible” with respect to how politics “works” in places such as Serbai etc – why let a consideration such a pollution get in the way of a nice, new, shiny, stinking, killing coal power station – after all, it ain’t Han chinese that are dying, is it!.